Travellers have been left stranded after a power cut grounded all flights at Hartsfield-Jackson International Airport in Atlanta, one of the world’s busiest travel hubs. 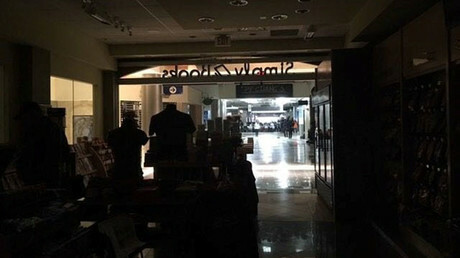 Staff at the airport are said to be working to restore power after the outage struck at around 1:15pm local time. All outgoing flights have been suspended by the Federal Aviation Authority (FAA) while incoming flights that have not already taken off are being held at their departure points. The FAA has set a ground stop for flights into #ATL due to the outage. A ground stop means flights to ATL are held at departure airports. Utilities company Georgia Power confirmed that it is investigating the incident after some reports suggested that a construction crew cut a power line, causing the outage. A spokesman for the airport told the Atlanta Journal-Constitution that officials still aren’t sure of the cause.